PERIOD OF RECORD.--Discharge records from April 2009 to current year. GAGE.--Water-stage recorder. Datum of gage is 535.64 ft above National Geodetic Vertical Datum of 1929. 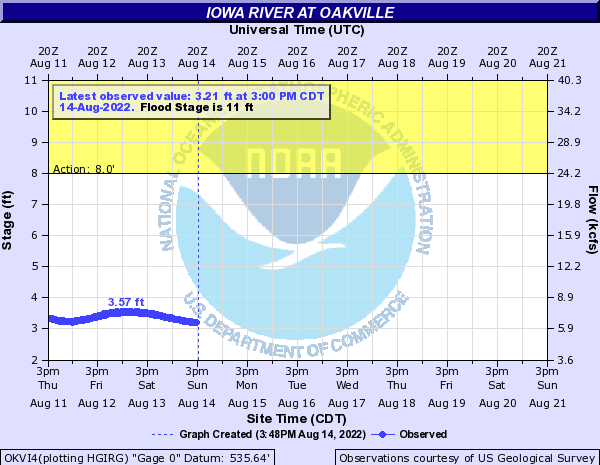 REMARKS.--Flow regulated by Coralville Lake (station 05453510), 77.2 mi upstream, since September 17, 1958.